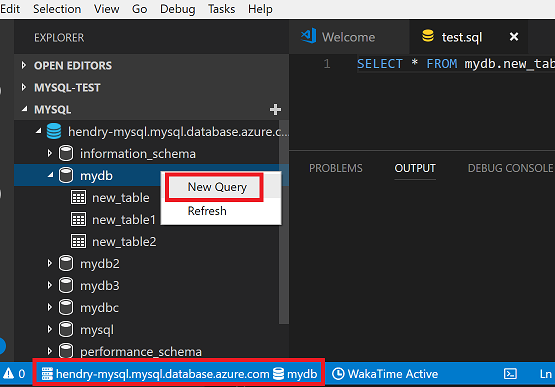 Visual Studio Code>Programming Languages>MySQLNew to Visual Studio Code? Get it now. Note: This tool forked from MySQL (Jun Han). 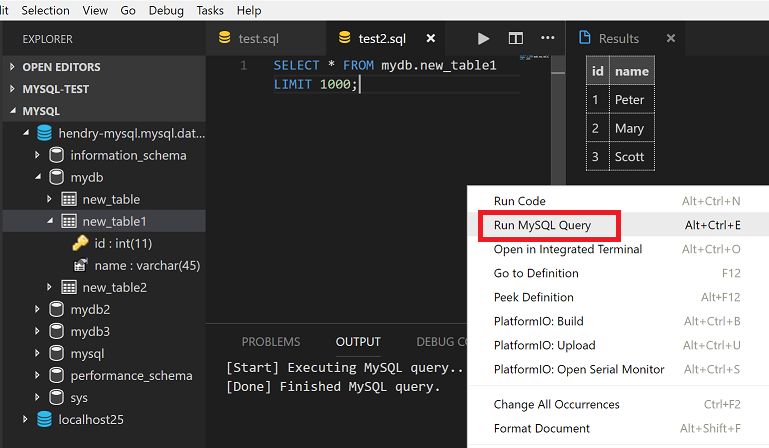 To add MySQL connection: in Explorer of VS Code, click "MYSQL" in the bottom left corner, then click the + button, then type host, user, password, port and certificate file path (optional) in the input box.